When it comes to food, we’re all pretty clued up on ‘best before’ and ‘use by’ dates, but did you know a lot of beauty products also have shelf lives too? 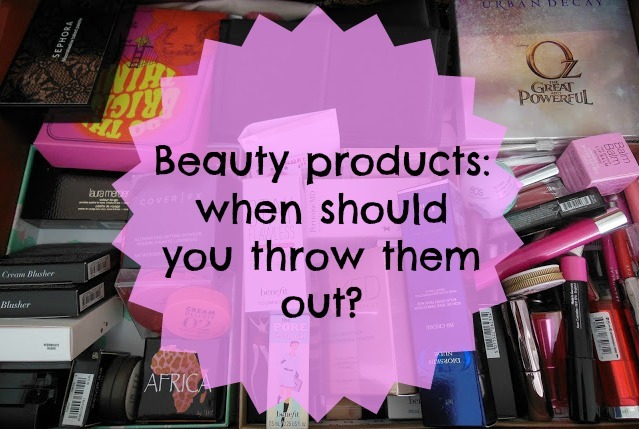 I’m pretty sure we’ve all got at least one product in our bathroom or hiding at the bottom of our makeup bags that we’ve had for years, so how do you know when it’s time to throw it out? Check the label – each product has a small marking on the packaging which will tell you how long you should keep it once it’s been opened. This usually has a little symbol like an open moisturiser pot, along with a date (in months) that will say ‘6M’, ’12M’, ‘18M’ etc. If you’ve still got it past that date, then it’s time for the bin! Mascaras – sad news for any mascara hoarders, but you should really only hang onto mascara for about 3 months after opening it. The mascara tubes are a great place for bacteria to breed and because it’s applied so close to your eyes, it’s recommended to be replaced every 3 months. Powders (bronzer, face powder, powder blusher etc.) – around 2 years. These tend to have less liquid inside them that can go off, so will last much longer. Nail polish – there doesn’t seem to be a firm rule on when to throw nail polish out – the best thing to do is to go by texture and how it looks. If the polish has separated (and won’t go back to normal with a quick shake) or has dried out and gone gloopy, then it might be time for the bin. If it smells or changes texture – these are both bad signs when it comes to makeup and skin care. If you notice a funny smell from a product or it’s no longer the original texture/consistency, throw it out. If in doubt…throw it away! If you honestly can’t remember the last time you used a particular product, then the best thing to do is to get rid of it. I know that I’ll definitely be having a good look through my makeup drawers over the next few weeks and having a bit of a clearing out session. 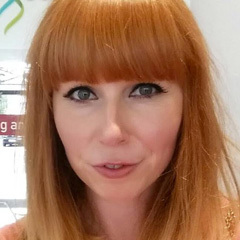 What are your thoughts on beauty expiry dates? This is a great post and very helpful! I always hold onto my mascara's but 3 months is such a short time to throw away! This is a great post. Most people indeed overlook this and i know quite some people (surprisingly especially the people which do not use make up so often) who have make up for i don't know how many years. I do not throw stuff out super fast since i think the shelf live is always a bit longer than indicated but well years and years is to long. I can only emphasise as well that one should not share beauty products or use products which require the use of your fingers on the go. That will reduce the time you should be using them dramatically. I'm so good with mascaras, I never have more than 2 open at a time (which I think for a blogger is good!) and always bin after three months. Everything else, I know the rules, but I'm afraid I don't stick to them, except for maybe cream products/lipsticks, especially if they look or smell a bit funky!